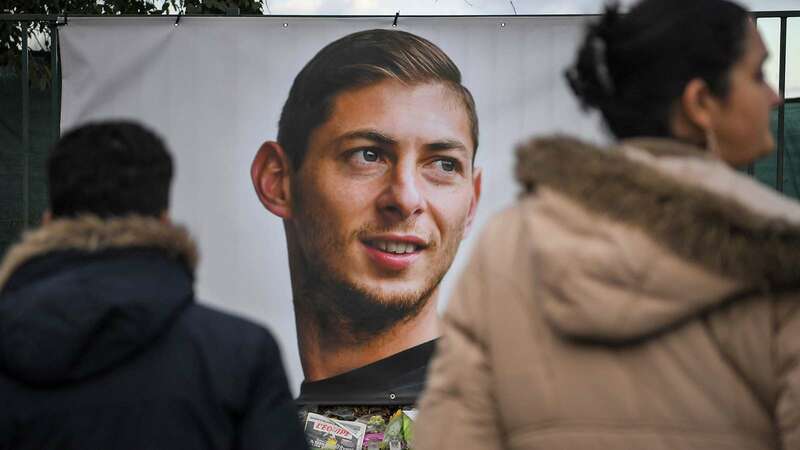 British crash investigators launched an underwater operation on Tuesday to recover a body from the wreckage of the plane carrying Cardiff City forward Emiliano Sala in the Channel. “We are attempting to recover the body. If we are successful, we will consider the feasibility of recovering the aircraft wreckage,” an Air Accidents Investigation Branch (AAIB) spokesperson said in a statement. The light aircraft carrying the 28-year-old footballer and pilot David Ibbotson to his new Premier League team Cardiff City disappeared near the British island of Guernsey on January 21. The shipwreck hunter hired by Sala’s family with the help of funds donated by football stars such as Lionel Messi found the plane wreckage on Sunday. The AAIB has since taken over operations. It revealed on Monday that an unidentified body had been found at the site. But it warned on Tuesday that strong tides “mean we can only use the remotely operated vehicle (ROV) for limited periods each day“. “Regardless of the results, we will not be making a further statement until the families have been informed,” it said. Shipwreck hunter David Mearns had earlier warned that “time is of the essence” in an underwater operation like the one being launched by Britain off France’s northern coast. “As tragic as the loss is, it’s made much, much worse if the body is never recovered or (the family) never get an answer to what happened,” Mearns said. Sala was flying to join up with Cardiff from his old French team Nantes. His signing was the most expensive in the Welsh club’s history and marked what fans had hoped would be a turning point in its bid to avoid relegation from England’s top division. “There’s no longer any hope,” Horacio Sala, Emiliano’s father, told Fox Sports, acknowledging there was no longer any prospect of finding his son alive. Mearns said his discovery of two seat cushions on the French coast last week revealed that the plane had broken up. Sala’s family raised more than 370,000 euros ($422,000) in an online campaign to pay for the private search. “We were told by the AAIB that they didn’t feel that there was much to be gained,” he said. The AAIB ended up chartering a ship to join Mearns on Sunday. He said recovery was now “technically possible — the water depth isn’t an issue really, and the weather can be managed with the right ship”. “It’s a matter of will to do it,” he added.